The sky is always moving, never stops. Everything that happens over our heads, is also evident around us and within us. In recent weeks, and especially in these days, the planetary configurations are really strong. 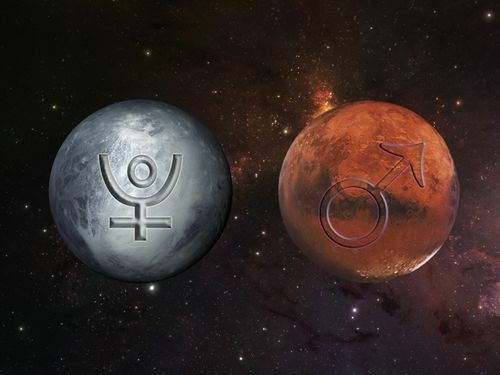 Mars, the planet of aggression, strength, will and desire conjunct with Pluto in Capricorn. A truly explosive conjunction. Not only as a concrete and visible effect on us, but even energetically. These two planets meet every two years or so, and when they do something always happens. To say that there is a conflict is an understatement. There is a real war within us. Now we are in a time of profound changes, strong political upheavals , but also economic and, above all, spiritual. The sky, the planets, they ask us to break free from everything that limits us, that does not allow us to express our true nature. We are made in the image and likeness of God, not of slaves or animals. If until now we have been led to believe that our capabilities are limited, that life is a mechanical force (see law of Darwin), that there is nothing we can do against disease, poverty or whatever, well now it’s time to turn our convictions. Some have already done, but many do not. Its these last ones who finally will begin to see with the “sixth” sense. A real change to expect in recent weeks. It ‘s time for change. The difficulties may be a lot, but this should not scare you, because Jupiter in Libra allows you to quickly reorder what you destroy. A “war”, a clash between the old and the new. A time when these two realities are opposite each other. The sky pushes for a revolution, which passes to an inevitable change of consciousness. Mars is the fuse, the detonator, while Pluto is the atomic explosion, the heat without a flame, the primary and underground energy. It is triggering a chain reaction that will “destroy” many certainties. Everyone is called upon to make its contribution, “exploding” in and freeing from tyranny. Aries: the power in you will be activated and will require from you to mature and to detach from all that creates pain and anger. This transit brings you the maturity to control yourself in the events of life and allow you to have better relationships. Taurus: it’s time to change direction, and your strength will allow you to radically transform life. Many of the changes in the workplace, but also other lifestyle habits. Health will be affected positively and you will receive a great energy contribution. Gemini: a death and rebirth, this is what awaits you. The failures are part of life, and for that you will accept the fact that you have made mistakes and it is time to change, to be reborn as does a phoenix from the ashes. Cancer: face the ”different” with strength and determination, overcoming the fear of not succeeding and succumb. You will act on the surroundings, changing everything that does not fit you any more, people will start to respect you. Leo: your strength pushes you to change your lifestyle, using a different communication. You will be able to understand what you are able to do and accomplish. Changes in your work in progress. Virgo: taking a time out for yourself has never been so necessary in this period. You will have the strength to impose your will and claim the right to a happy life. Strokes of lightning on the horizon. Libra: before launching into a new life, you will understand that it is essential to make peace with your past. Build a new environment, put down new roots but take nourishment from your origins, from your family tree. Scorpio: freeing yourself from the suffocating and limiting relationships is a necessity. Like a bomb, you throw it to air the situations that do not allow you full freedom of movement. The first release that you will face is with grief and guilt. 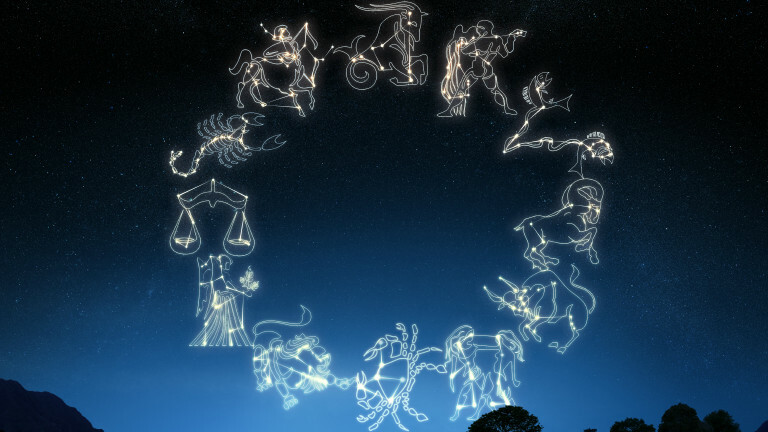 Sagittarius: new values, new life. Your strenth will transform the reality in which you believed to live. You will find that your life needs new channels to express themselves and that can be done through your talents. Capricorn: if you do not transform yourself, your life will not change. The direction to take is to get down from the throne, and to devote the time to yourself. Your strength invites you to change, to relieve you from the burdens that you carry inside. Aquarius: destroy all forms of fear and unconscious conditioning. You will make a radical and final cleaning. The freedom to express yourself for who you really are, can not happen if you are affected by the anger that you carry inside. Pisces: your strength invites you to create for yourself a better world, starting with yourself. Free yourself from the burdens that make this change a heavy trip. There are new targets and new ideals to be pursued. If you will get rid of everything that slows you down, you’ll be the undisputed king of Life.